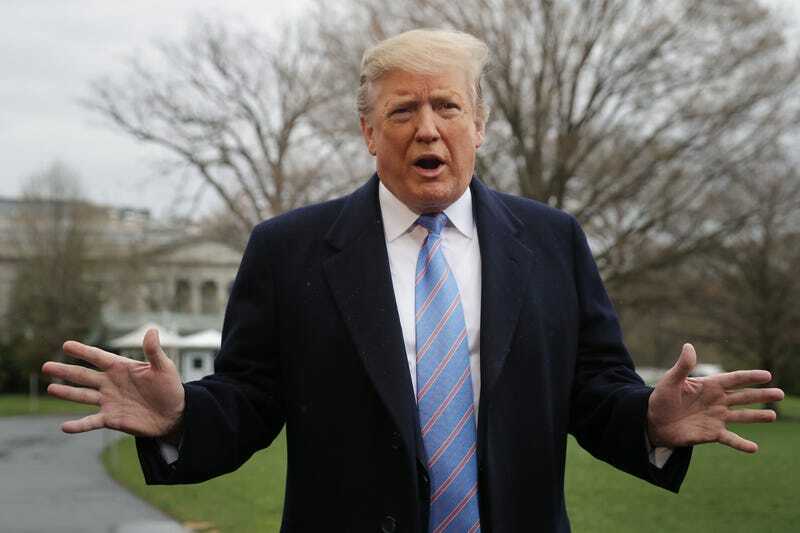 “I like positive things,” the president told reporters Friday, CBS reports, stating that instead of going to the April 27 black-tie affair, he’ll again hold a rally. Trump Is Not in Bed With Russia and He Proves It by Sending Mean Tweets! Yes, the correspondents dinner has always been a media roast of sorts of whomever holds the highest office in the land, aka the president of the United States. Last year, when Trump also skipped the festivities, keynote speaker and comedian Michelle Wolf hit his stand-in, White House press secretary Sarah Huckabee Sanders, so hard, it garnered criticisms from both the right and the left. So this year, the WHCA decided to forgo the comedians and instead go with White House historian Ron Chernow as the keynote speaker, USA Today reports. But it would seem that’s not safe good enough for Trump. And so, he’ll continue to be the only president to skip the dinner other than Ronald Reagan — when he was recuperating from an assassination attempt — and will instead be the headliner at one of his beloved rallies.